SENSOR WALK was developed by Otto Block in conjunction with the Mayo Clinic. The knee-ankle-foot orthotic (KAFO) provides superb stance control for patients who exhibit weak or absent quadriceps, or display knee instability while bearing weight during the stance phase of the gait cycle. Unique sensors in the footplate know when the patient is in the late stance phase and triggers the knee joint to unlock. Because an extension movement is not required to unlock the joint, the SENSOR WALK helps provide the clinical benefits of a more natural gait. 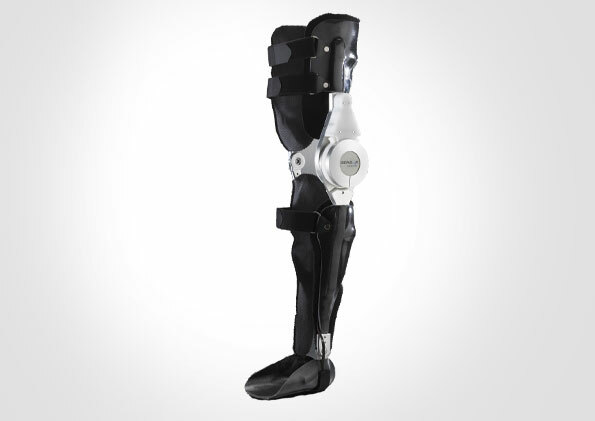 The robust design can handle patients who weigh up to 300 lbs (136 kg) and can accommodate a 15° knee flexion. Enhanced stability during stance phase. Stumble recovery due to the ability to block flexion if needed. during the gait cycle, providing additional stability. 300 lbs (136 kg) weight limit. the appropriate time to engage and disengage the knee joint restraint mechanism. as a locked joint, as a stance control KAF orthotic, and in a free swing mode.